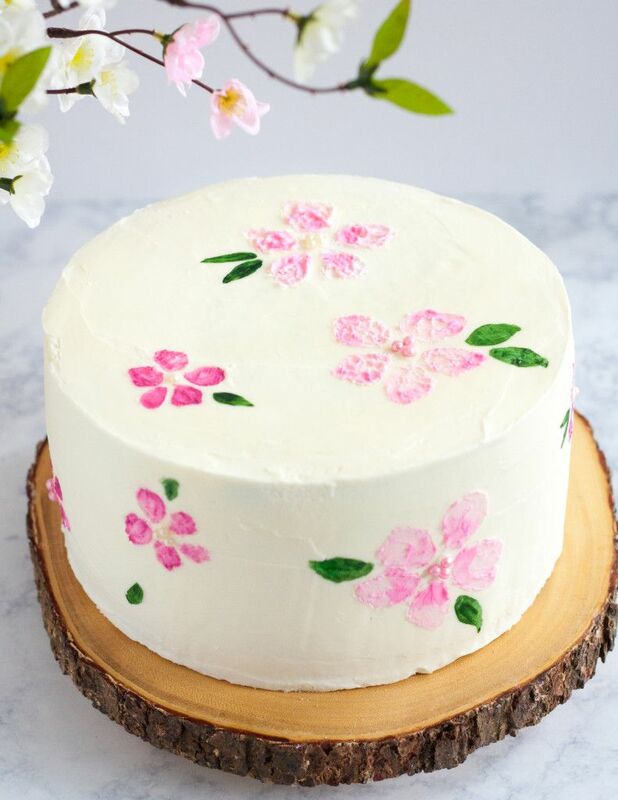 Learn how to paint on buttercream frosting using two different techniques with my easy to follow cherry blossom cake tutorial! One of my absolute favorite things about spring in Northern Virginia is the cherry blossom trees. The blossoms are just gorgeous, and I don’t even have to trek to the District to enjoy beautiful blooms – we have a few trees right outside our condo. Of course, it is a beautiful sight to see the Basin in full bloom by the Jefferson Memorial, and we did head out there last year despite the crazy crowds. This year, the weather warmed up a bit early (hooray! ), but that means peak bloom is in just a few days! 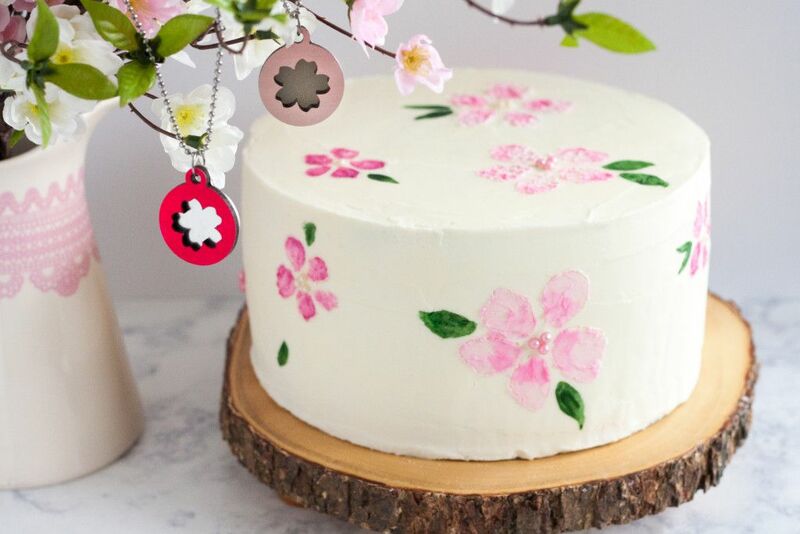 Since we may not make it into DC to see this year’s blooms at their peak, I have created plenty of other ways to celebrate – like this cherry blossom cake tutorial! 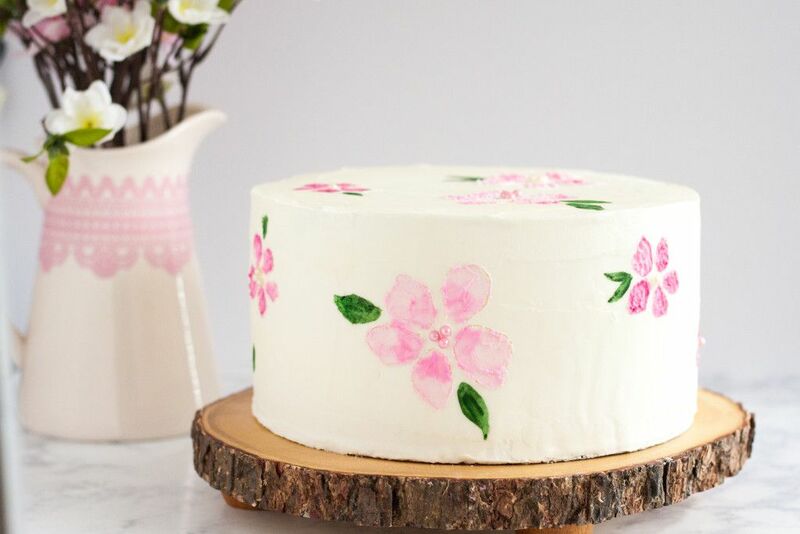 My cherry blossom cake tutorial showcases one of my current favorite cake decorating techniques to play with, painting on buttercream. Depending on the paint medium used, you either end up with a lovely watercolor like finish, or a textured oil painting style finish. 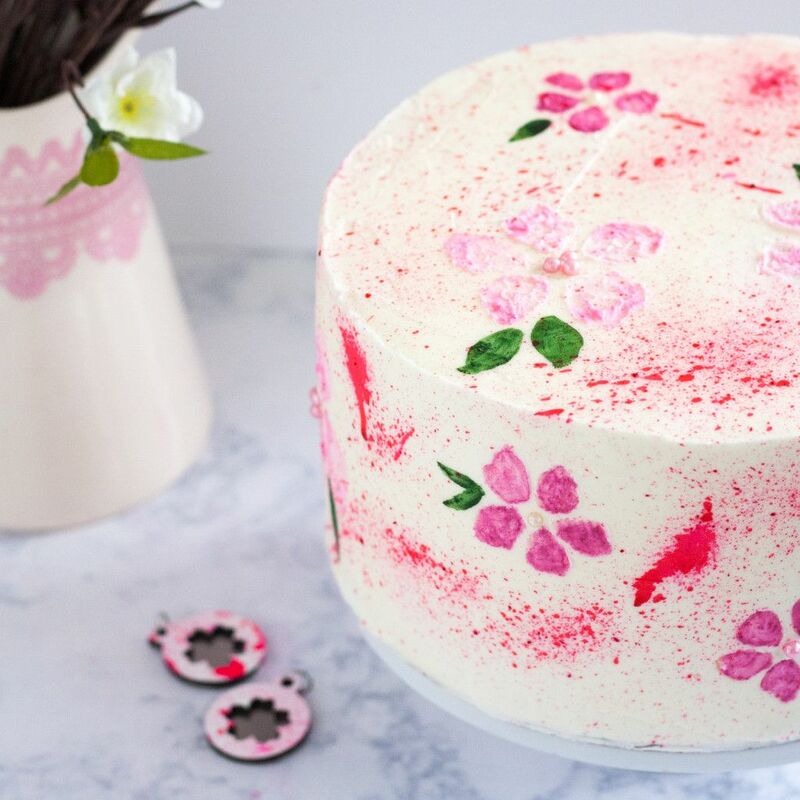 Either one is beautiful, and I mixed the two on this cake because I like the contrast. The best part is, you don’t have to freehand the design! Not everyone is a great artist (I’m not! 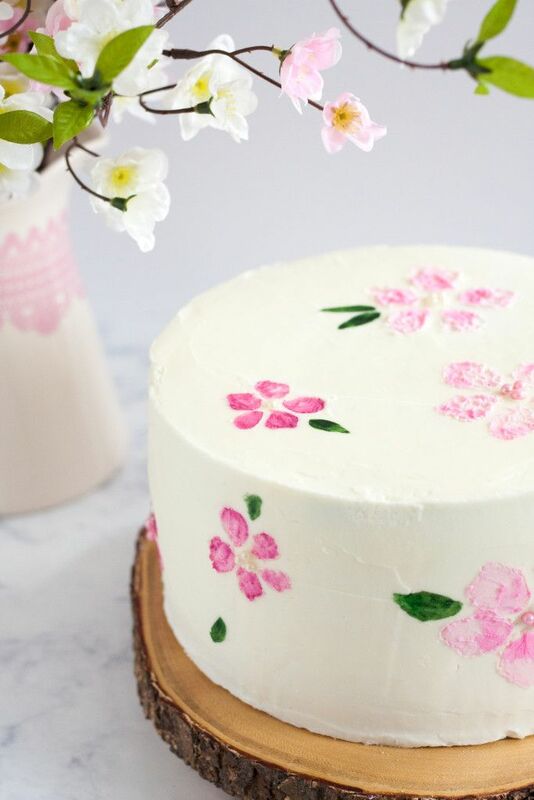 ), and you can use stencils when you paint on buttercream to help guide you as you work.The stencil I used for today’s cake is available when you click here as a free download courtesy of my neighbor and friend, Melissa Lew. You might remember her from the Rose Ginger Steamed Cake post where I featured her Chinese New Year jewelry. 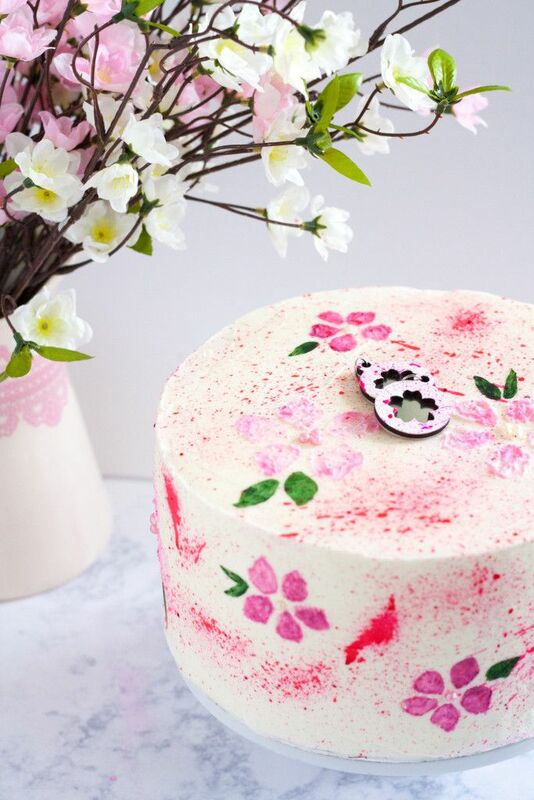 Anyway, a few weeks ago she posted a picture on Facebook of her Cherry Blossom line for this year, and I was smitten by the modern look and the splatter painted charm! So I told her I was going to make a cake, or cookies, or something with a cherry blossom. 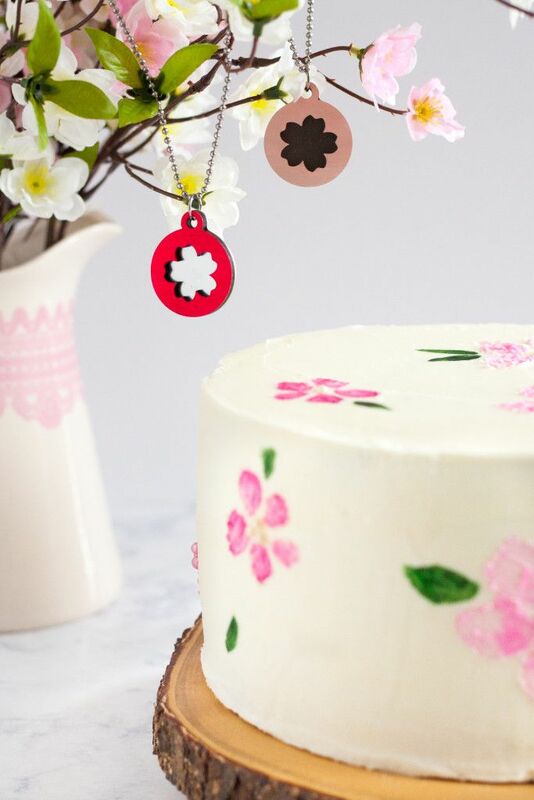 Instead of leaving me to figure out a cherry blossom outline, Melissa was fabulous enough to just make me a printout of a cherry blossom design – inspired by her work – in a few sizes for me (and you) to use. The easiest way for me to explain the different techniques was to film a video. You’ll see the materials used in a list on this page when you scroll past the video. 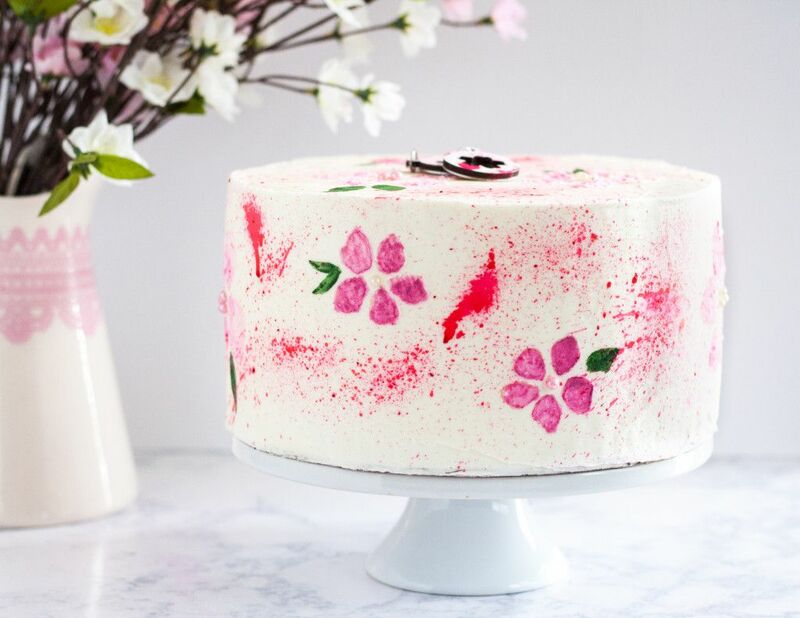 I only talk about the flower painting in the YouTube video, I added the splatter paint later and filmed a live feed video that you can find on my Facebook page. 8″ styrofoam cake dummy – use if you’re practicing and not working with a real cake. 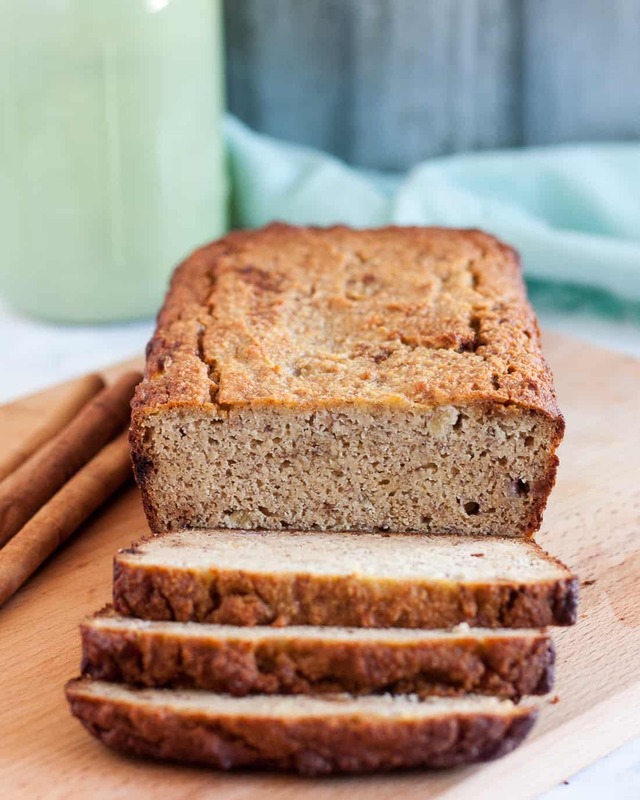 If you’re making a real cake, check out my recipe index for a fabulous recipe for a from-scratch cake! 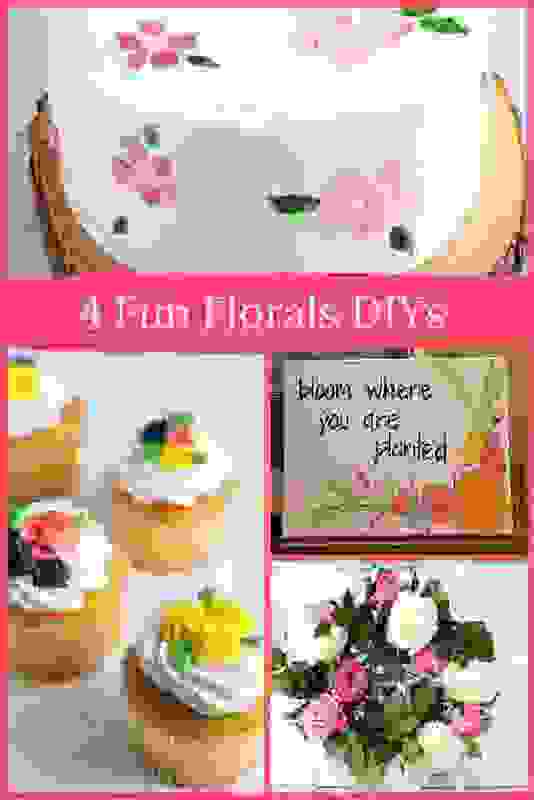 Crusting buttercream frosting – use your favorite recipe. I don’t have a vanilla crusting buttercream on the blog at the moment (will do soon!) but the general rule is 4 cups of powdered sugar per pound of butter. I don’t use shortening in my buttercream. I hope you enjoyed this tutorial, please feel free to comment below or send me an e-mail if you have any questions! 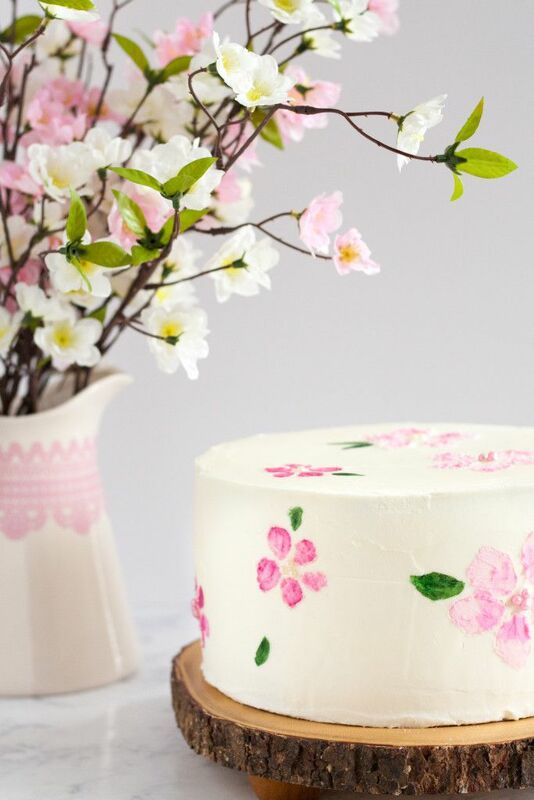 I love how adorable this cake turned out…It would be perfect for Easter, or really anytime! Wow! That is so cool! 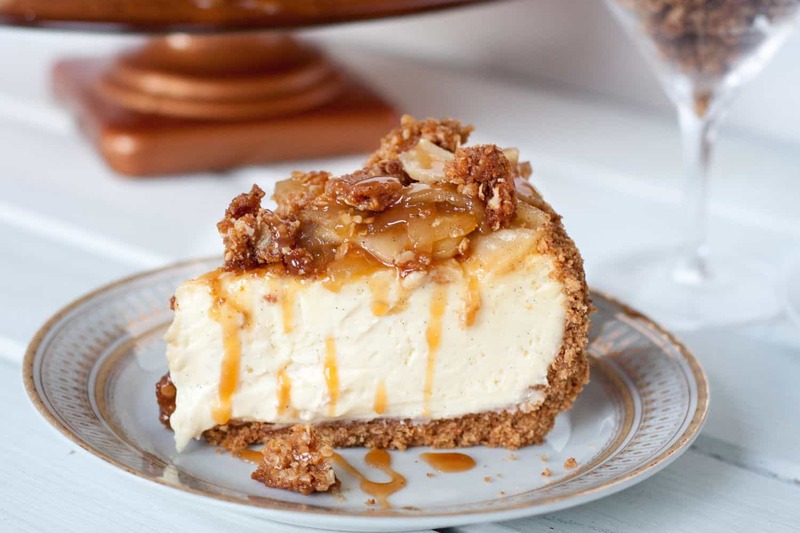 This cake might be just the thing to get my over my sadness of not seeing the Cherry Blossom Festival. 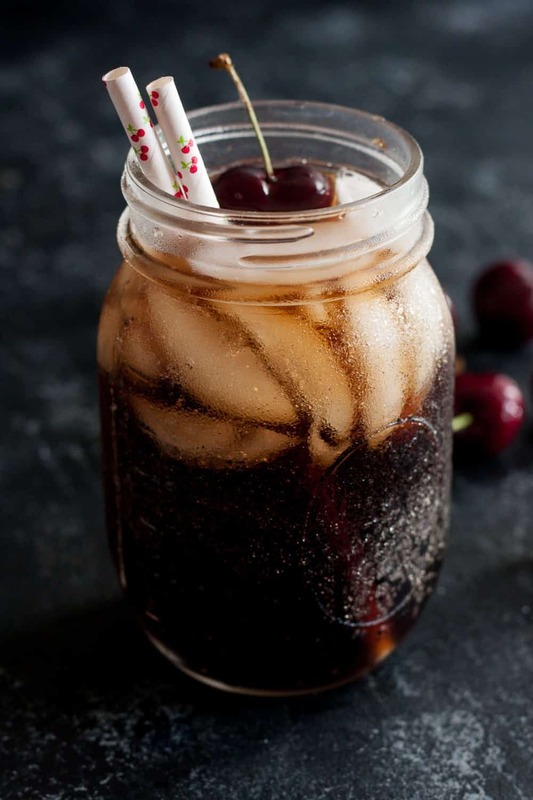 This former VA girl misses it!